A Ministry of Finance report on National Clean Energy Fund (NCEF) estimated that the clean environment cess will allow the government to cumulatively collect around Rs 55,000 crore by 2016–17. Of this, it estimated, less than half would be transferred to NCEF by 2016–17—actual funding so far has been likely even lower despite concerted efforts over the last two years. 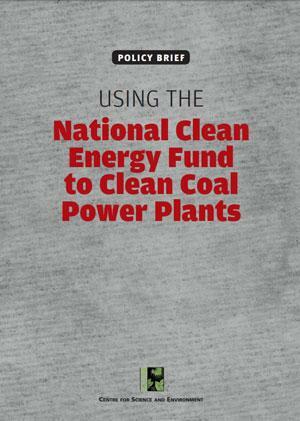 While increasing amounts are going to projects other than renewables to both increase and broad-base benefits, we believe that use of NCEF funds to clean the coal-based power sector has the potential to achieve several key goals: significant utilization of NCEF funds for pollution control technology; project costs vetted by independent regulator; clear emissions cut that will be enforced by online monitoring systems.